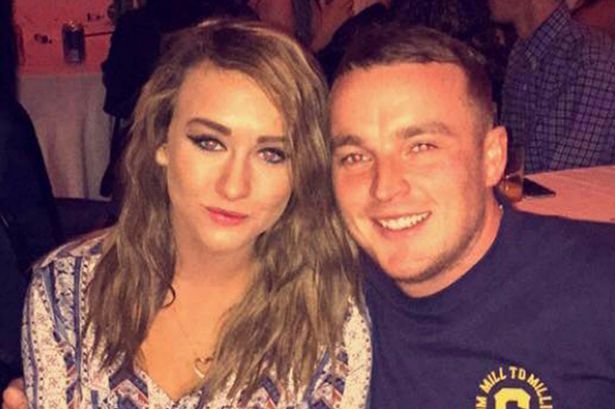 Martin McNally, 29, from Dundee, had enjoyed a night out with girlfriend Nicole and, when they returned home, helped himself to a few more drinks. He asked Nicole for a mutual friend's number - and she gave him his own number by mistake. Every time he tried to call the number, it would beep and send him a message saying he had missed a call.Instead of realizing it was his ow number, he kept texting and calling himself. 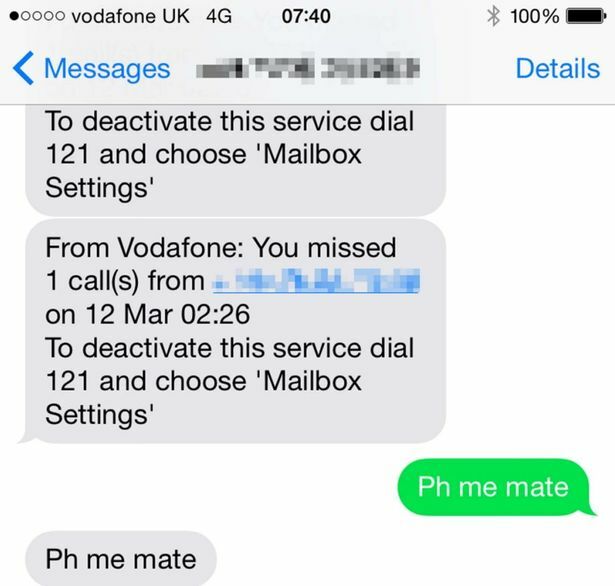 He texted the number again and again to let his friend know he was trying to call him, demanding 'stop phoning me, I'm phoning you' - only to receive the same message back. And the 'argument' lasted for more than five minutes. 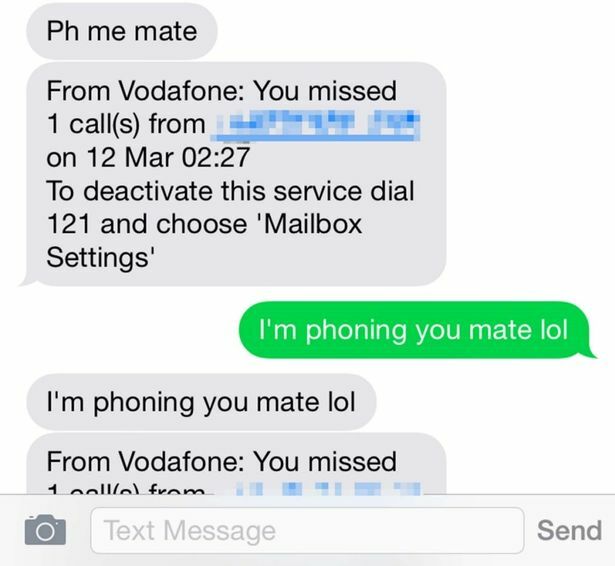 When he woke up the next morning, Martin discovered a load of calls and text messages - and obviously his friends found this hilarious when he shared the anecdote. Martin said: "I was too drunk to realise it was my own number. I must have got frustrated in the end and left it because I didn't realise what I had done until the next day when I went through my phone calls.When I saw the repeated messages I thought 'what the hell have I done'. I showed it Nicole and she was laughing at me. She is at uni studying business management so she clearly has the brain cells. "I thought it was really funny once I realised what I had done and just how long it went on for but at the time it was happening it was so funny, just really confusing and frustrating. 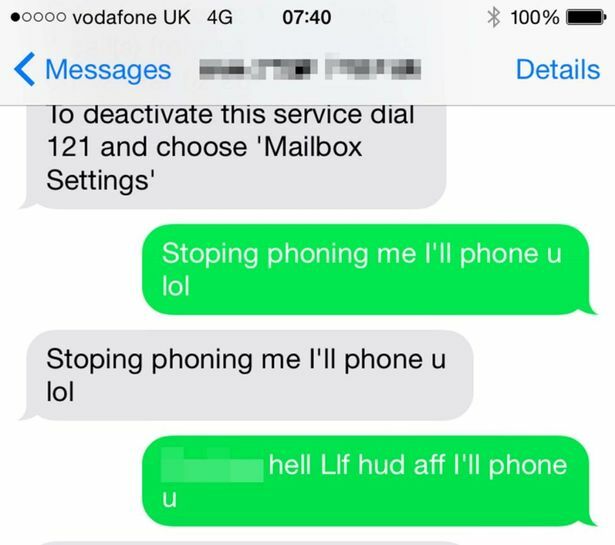 Martin sent five text messages to himself during the argument, receiving the same five 'in reply', including "Stop phoning me I'll phone u lol" and "f**king hell if hud aff [hold off] I'll phone u". 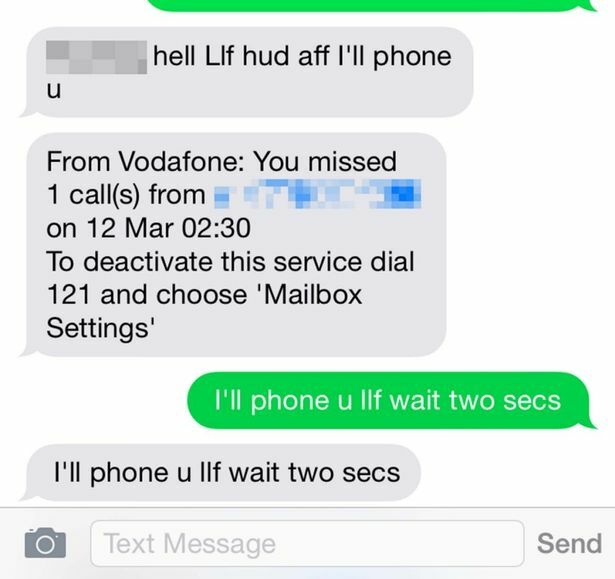 "To have been texting and ringing myself repeatedly for more than five minutes and to have been getting frustrated without realising it was my own number is pretty crazy. "I showed it to all my friends and everyone was laughing at it. They all think it's hilarious. I'm taking it in good humour though it does show I can be an idiot. "Though in my defence I've never done anything like this before - or at least not that I remember."